Editor's note: this tour is CLOSED. Created by foodie and Masterchef contestant Andrew Prior, Queenie's Food Tours of Melbourne offer both locals and visitors a deliciously wonderful excursion through the city of Melbourne. This company offers three food tours throughout Melbourne as well as Parisian food tours. There is a tour to satisfy just about anyone, from the lover of whole foods to those with a strong sweet tooth. Queenie’s Food Tours of Melbourne is a great way to explore the city of Melbourne while partaking in a variety of culinary delights. · Melbourne Tram to Market Tour - Participants discover the wide offerings in food by riding the trams of Melbourne. All participants will receive free tram transportation to visit an assortment of restaurants and stalls offering a wide variety of foods to sample during this 3-hour tour. 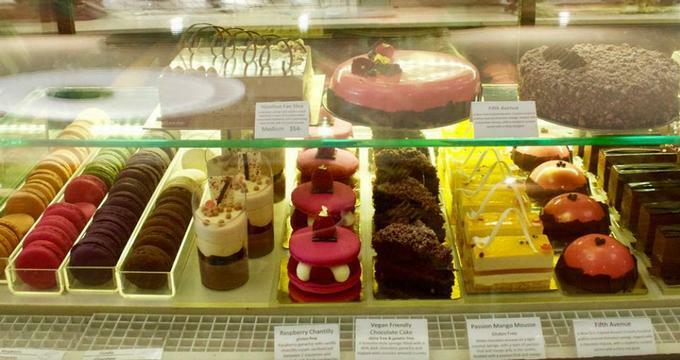 · Sweet Dreams Walking Tour - This is the tour for anyone with a sweet tooth. Join other sweet lovers as they walk through the Melbourne suburb of South Yarra, which is becoming well known for its pastries and cakes. During this 3-hour tour, participants will have an opportunity to try and purchase an assortment of sweet items while visiting some of Melbourne’s best sweet shops. · Breakfast City Walking Tour - Take a 3½ hour tour that visits a number of Melbourne eateries, which include bars, cafes, wine and cheese bars, pop-ups, and coffee roasters. Breakfast is included on this walking tour along with other tastings, such as hot chocolate, coffee, chocolates, and rooftop honey. Queenie’s Food Tours of Melbourne also offer corporate and private tours. Whether looking for a unique way to show business associates around Melbourne or planning a special event such as a birthday party, a food tour is a unique way to celebrate or gather others together. Queenie’s Food Tours of Melbourne can create a tour that is tailormade to the specifications of the group. These events can also include special features such as cooking classes. There is also the option of conducting the tour via foot or via mini bus. For more information about booking a Queenie’s Food tour for a corporate or private event, visit their website. In addition to these tours, private tours and a concierge service is also offered. Gift certificates for Queenie’s tours are available for purchase for both full-day and half-day food tours around Melbourne. To purchase a gift certificate for a food tour, please contact Queenie’s Food Tours of Melbourne via the contact form on the website or via phone at +6-13-90-18-71-96.